Jeff’s Belgian inspired brews garnered enough praise from friends and neighbors that Jeff and Kim took their basement brewery commercial in 1991. Kim, social worker by day and mother to two always, began the marketing process by knocking on their neighbor’s door. Artist Anne Fitch was that neighbor, whose watercolors came to help craft the New Belgium brand for 24 years, including the original Fat Tire label. Our new Fat Tire cruiser is still handcrafted by a painter, Leah Giberson, but this time it’s photorealism instead of a watercolor. 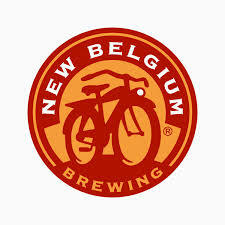 New Belgium Brewing & Wine! NB & Wine Brand Training (4/11/18) – Please watch this video before your sampling! Paint and Pour at Ponysaurus Brewing Co.